Just 15 to 20 minutes from downtown Salem, VA, is Poor Mountain Natural Area Preserve, part of the Division of Natural Heritage system that protects special plants, animals, and ecosystems throughout Virginia. Although Poor Mountain is named for its predominantly infertile, acidic soils, it makes a rich destination for the botanically minded. Next time you are making the tedious drive down I-81 in southwest Virginia, take a break and check it out. This area was purchased to protect Piratebush, (Buckleya distichophylla), a shrub that is not only globally rare, but one of the rarest shrubs in eastern North America. Piratebush is a hemiparisite, able to photosynthesize, but obtaining most of its nourishment using special roots called haustonia to penetrate nearby roots several varieties of trees and shrubs. 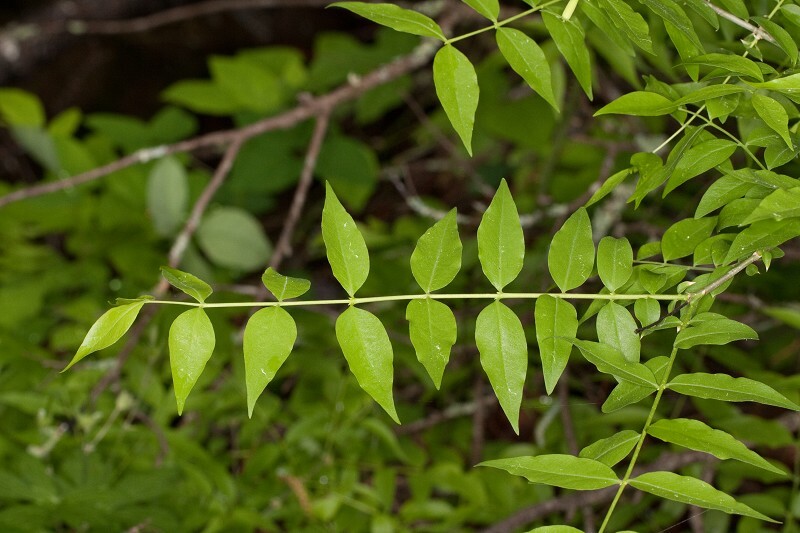 Due to its low levels of photosynthesis, Piratebush leaves are distinctly a more pale green than most other plants, making it fairly easy to spot in the forest. Flowers are on separate male and female plants. 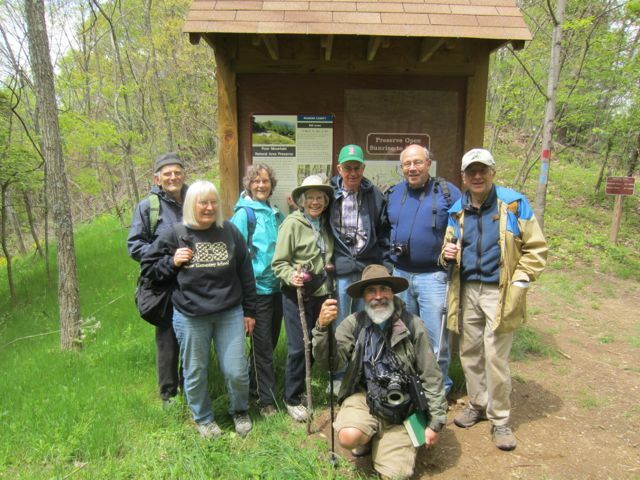 The New River Chapter visited Poor Mountain in springtime for a guided tour with Mountain Region Steward, Ryan Klopf, hoping to see Piratebush in bloom. 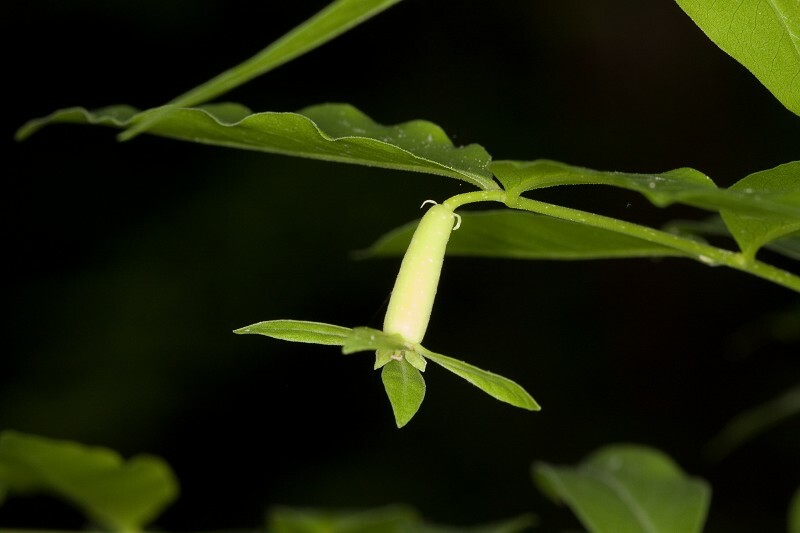 Both male and female flowers are green. Male flowers are smaller, and in clusters, whereas the female flowers are solitary. While we were there, Dr. Ryan Huish, of Hollins University, along with some of his students were conducting research on Piratebush, which is found in more abundance on Poor Mountain than at any other location. The reason for this is sill not known. Access to the preserve is from a steep, winding, but paved road and the entrance to it is well marked with a sign. There is a small parking lot for about 6 or 7 cars. To see the Piratebush, walk down a short trail to the preserve information sign, and then begin the “Piratebush Loop Trail.” It is mostly level. one mile long, and remains in the dry, higher elevation pine-oak woodlands of the preserve. For more exercise, and to see the rest of the preserve, take the four mile Steep Loop Trail that descends down the side of Poor Mountain to a stream and back up. All trails have color blazes. Interesting blog, Mary Rhodes. Thank you for posting info about Piratebush and your chapter’s visit. If NRV Chapter has a field trip to see it again in 2015 spring, please post info. That would be worth the trip to see a flowering Piratebush, read about for years, never yet seen.